In just two days we will begin our final farewell to Don Draper and his cohorts. Mad Men has made such an impressive impact on television since its premiere. It was and still is one of the most talked about shows in television history. Its culmination is going to be a sad one, but the party will go on! Food and drink has been a big part of the show since its inception. 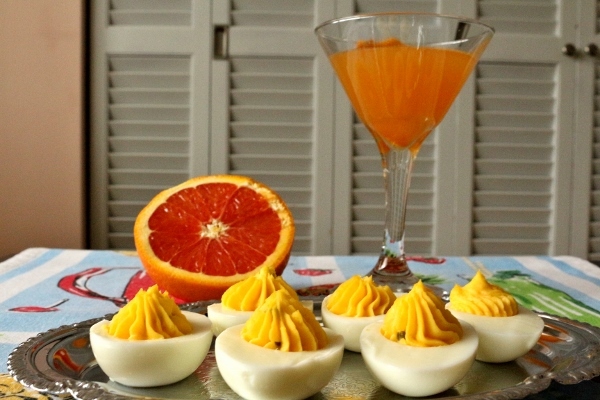 In fact, with the release of The Unofficial Mad Men Cookbook in 2011, the relationship between the show and its food/drink references has been further solidified. I was asked to participate in the first Virtual Mad Men Dinner Party back in 2012, prior to the release of Season 5. I happily whipped up a couple versions of my favorite breakfast in a glass--Bloody Mary--both from the famed 21 Club in New York City. I was later interviewed by the New York Post to discuss my party plans for viewing the Season 5 premiere, and even participated in a fun photo shoot featuring a pair of retro Dolce & Gabbanas and a pan of my beloved Nutella Bread Pudding. One could say that ever since then, Mad Men has had a very special place in my heart. I'm really sad to see it go, but if we're seeing it off, let's do it in style: Mad Men-style! We certainly can't have a Mad Men premiere party without some booze. 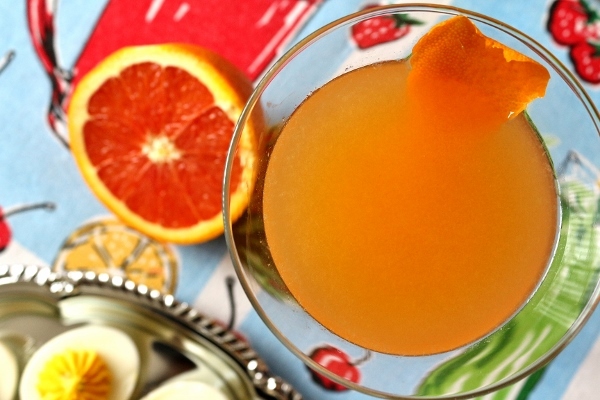 There are lots of cocktails to choose from, but I decided to create the light and refreshing Stork Club Cocktail, featuring gin and fresh orange juice. I actually used a bright Cara Cara orange for mine, and the result was absolutely divine. 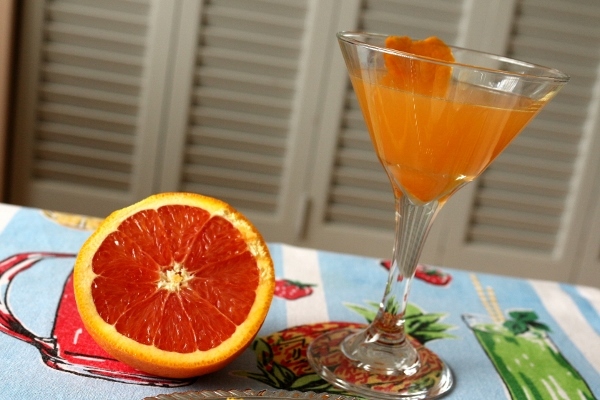 The recipe doesn't indicate any garnish, but I simply used a strip of orange peel, although a maraschino cherry would also offer a colorful, retro feel to the drink. 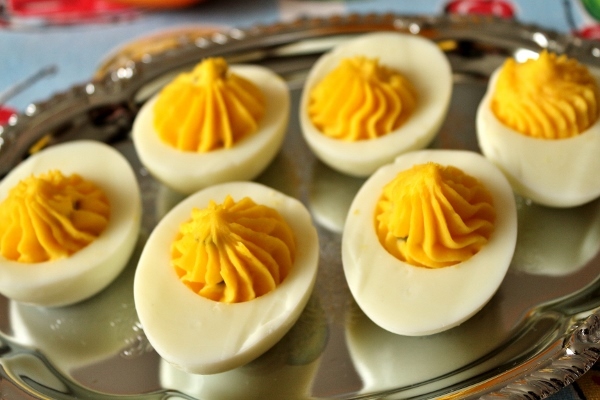 For nibbles, I couldn't resist one of my favorites: Deviled Eggs. They may seem old-fashioned, but to me they are timeless. 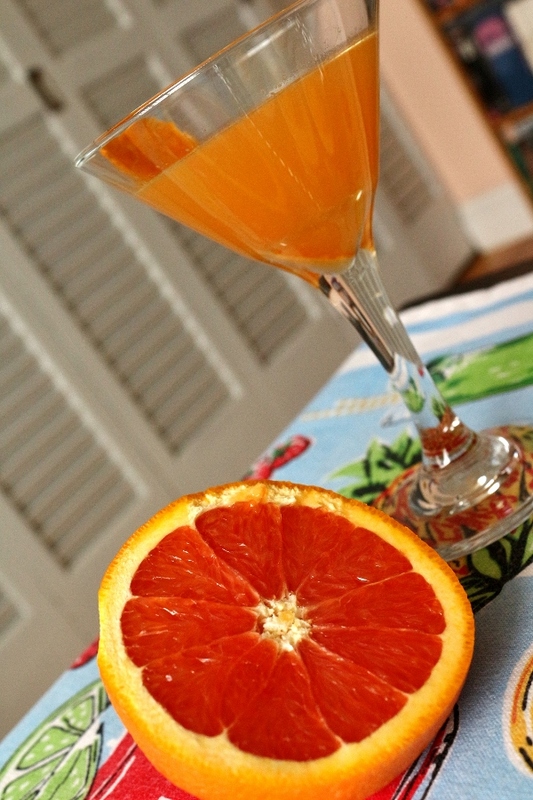 They fit right in with our Virtual Mad Men Finale Party, but are still popular to today's palate. I followed the basic instructions detailed in the book, but made a few changes. For one, I hard-boil my eggs differently than indicated, and I also prefer to blend my egg yolk filling in a small food processor to yield a super smooth result. I also decided to add some minced pickled jalapeno to mine to give it some crunch, although it wasn't particularly spicy. You could add more, if you like. I hope this provides some great ideas for your own Mad Men viewing this Sunday night! 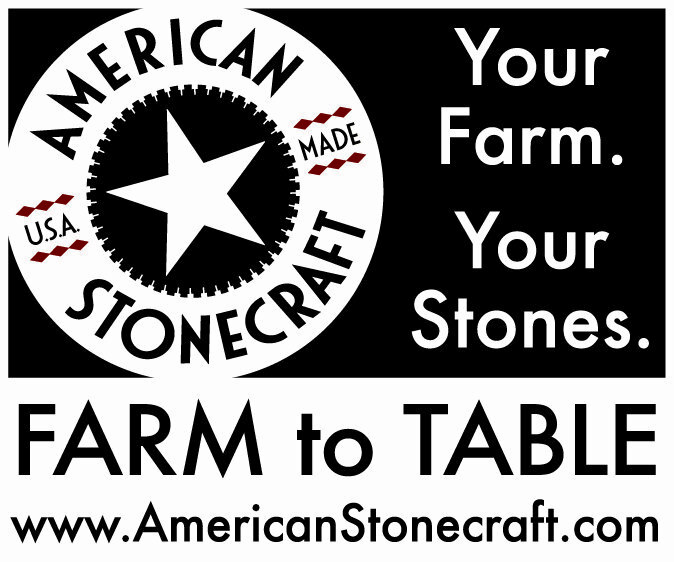 For other suggestions and recipes, click on the banner below. P.S. 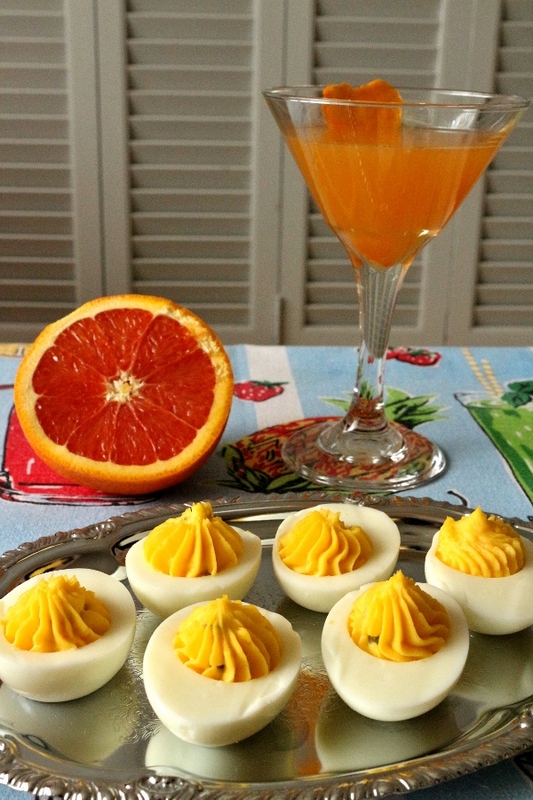 This Deviled Egg and Stork Club Cocktail combo would also make an excellent brunch pairing! 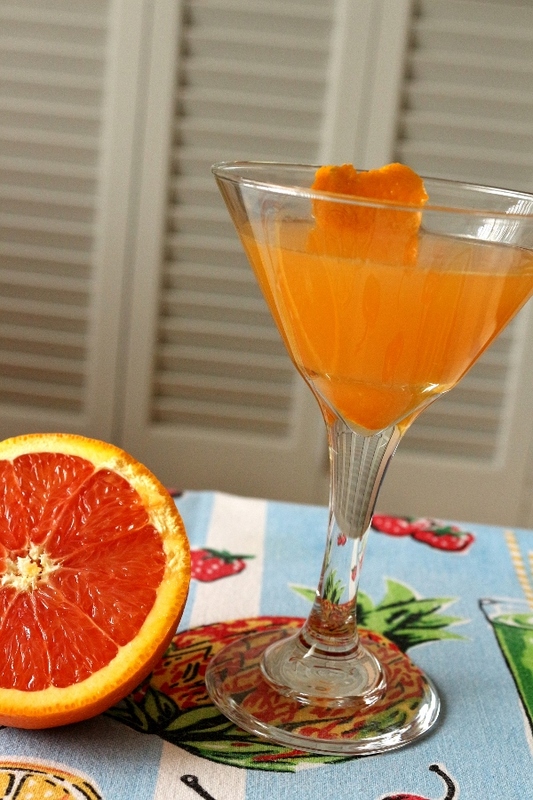 Note: This cocktail also makes a wonderful punch. To serve, multiply ingredients and pour into a bunch bowl over a block of ice. Pour ingredients into a cocktail shaker. Shake well, and strain into a chilled 4-ounce cocktail glass. *Notes* I suggest also adding ice to your shaker and shaking your drink over ice, although the recipe doesn't indicate that. I used a dash of lemon juice instead of lime, and you can do the same if that's what you have on hand. I suggest straining your freshly squeezed orange juice before adding to your shaker to ensure you don't end up with pulp floating around in your cocktail. Hard boil the eggs: Bring a pot of water (with enough water to cover eggs) to a boil. Place eggs carefully in the pan. Reduce heat to simmer and cook for 15 to 20 minutes. 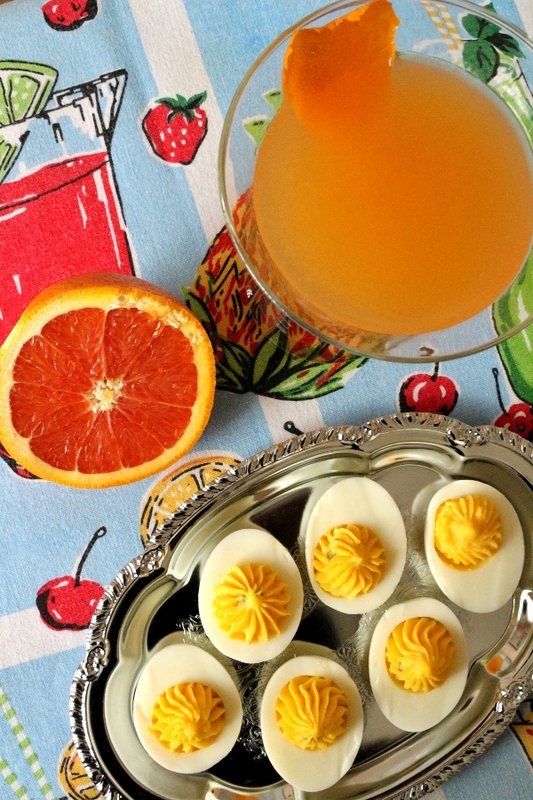 Place eggs immediately in cold water. Make stuffing: Peel eggs and cut in half lengthwise. 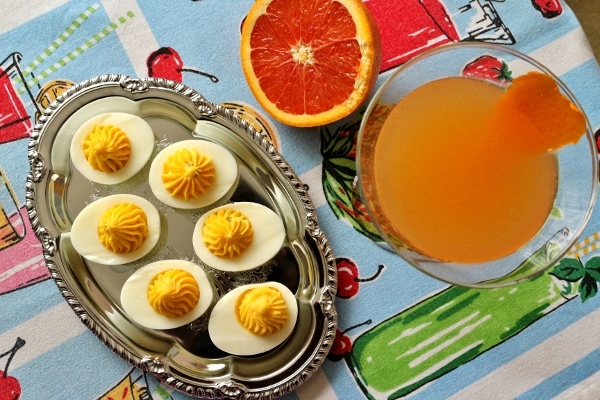 Carefully remove yolks and place in a small bowl. Set whites aside on a plate. Mash yolks until fine and crumbly (you can also press through a strainer to avoid lumps). Add mayonnaise and stir until mixture has a smooth consistency. Add mustard and cayenne pepper. Season to taste with salt and pepper. Refill hollow in whites with yolk mixture. Sprinkle with paprika. Cover and refrigerate. Serve chilled. *Notes* I actually hard-boil my eggs a little differently--by placing the eggs in cold water, then bringing it up to a boil and cooking them that way for about 7 minutes. You can do whatever you're comfortable with. I also like to make my deviled egg filling in a small food processor to get it really smooth. For this occasion, I actually minced 2 slices of pickled jalapeno (about 1 teaspoon) and mixed that in by hand at the end before filling the whites. It didn't really add spice, but I love the crunchy texture it imparted. Finally, I like to pipe my yolk filling into the whites because I find it looks more elegant, but you can simply use a spoon.